Skylight installation is reported by manufacturers to be so easy it can be done as a weekend project. And guess what? It can in some cases. Provided you have ladders and some tools and some skills, provided you do not have a difficult installation, provided you have a plan on how to add interior finish to the project; such as drywall finish and paint. 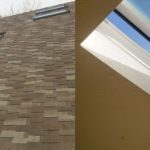 And the biggest factor is – provided you have confidence that in the most extreme conditions you will confidently stand under your skylight (or worse yet be away from home) and know that you have done the job so well that it will not leak. 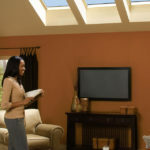 Our advice (biased mind you) that it is much easier to hire a professional skylight installation crew to come in and install your skylight in one day. Previous PostPrevious Can tubular skylights be installed through a second story?